Reliable local sources informed Ahwaz Human Rights Organization that two Ahwazi Arab detainees, the 28 year-old Ahmed Heidari, son of Abboud, and 34 year-old Adnan Sawari, were tortured to death in Ahwaz’s Ministry of intelligence detention centre. A close source to Heidari family told the organization that Ahwaz intelligence had informed them on Saturday that their son had been killed and claimed that the cause of death was a clash with the interrogators. On Sunday, two agents of the Ministry of Intelligence in civilian clothing came to the family's home in Camp polo (Revolution Street), preventing them from holding public funeral in accordance with Arabic customs. Heidari's family demanded that the body of their son be delivered and unless they see the body, they will not believe he is dead. the agent’s response was that Naser Heidari, Ahmed’s cousin who was his cell mate would contact the family from Ahwaz intelligence agency detention center and would confirm Ahmed's death. The source emphasised that, the following day, Nasser contacted the family and said that he had seen Ahmed's dead body and he had signed on the body identification sheet. But the family believe that Nasser had done so by force. The second is victim, Adnan Sawari. Ahwaz Intelligence Agency contacted his family and inform them that their son had died in the detention center. Adnan has two bothers who are currently in detention. 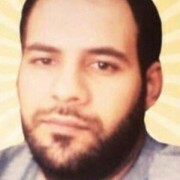 The families of the defendants are still concerned about the possibility that the detainees may be forced to confess under torture in the Ministry of Intelligence's secret detention centers, as there are many similar examples in the past years where Ahwazi Arab activists were killed under torture or executed following forced confessions. What mainly raises our concern in AHRO is that the detainees are subjected to vague and unfair judicial process without the right to acquire independent lawyers nor family visits. AHRO also calls for the involvement of legal entities, in particular, the UN Special Rapporteur Mr. Javaid Rahman, to conduct an independent inquiry into the matter.